V-MODA today introduced the VIBE Duo, a dual-use earphone with microphone combination designed for use with the Apple iPhone. 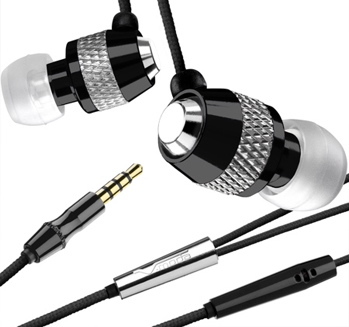 The headphone/headset features “hi-definition” sound, in addition to optimum communication capabilities. The VIBE Duo features three sizes of soft silicon fittings for a secure fit. V-Moda says that the headphones reduce outside noise and provide accurate response from 12Hz to 22Hz. The headset is available in black and chrome and retails for about $100. How are headphones designed for us with an iPhone? Aren’t they just fancy headphones? Mike – fancy headphones with a built in mic and the proper connection…..